When it comes to a wedding, there is a very traditional image on my mind. 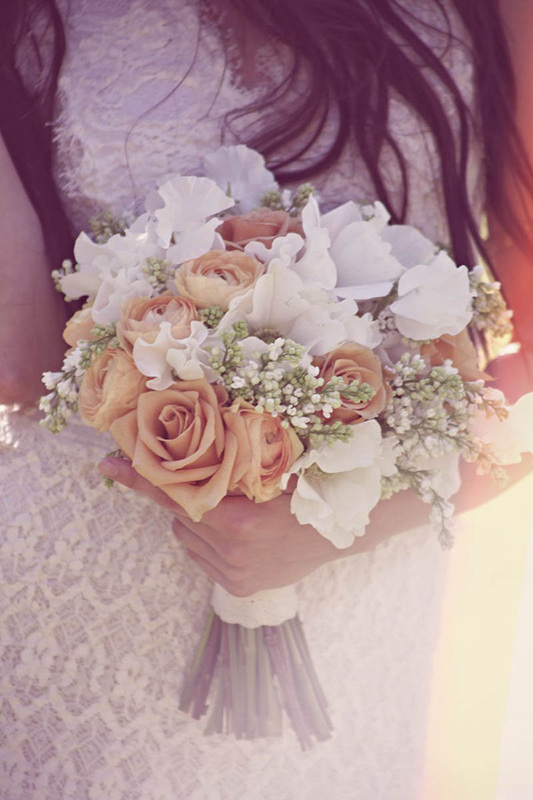 White gowns, tons of flowers, sprinkles of champagne and hundreds of guests. A bride is all sparkling in her magnificent and huge ball gown, while the groom is sweating in his suit and tie and every one else is chilling at the pompous restaraunt. While this sounds like a typical dream of any girl, to me it is too boring. I would like to have a celebration different from this one. My event of the life would be more creative, less crowded and definitely more nature-oriented. And guess what? 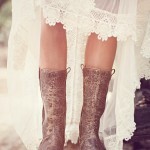 Free People seems to have read my mind. 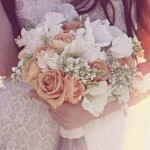 The brand has just released a set of charming photos featuring a very engaging wedding setting. Read on to see how free people would celebrate the biggest even in their lives! I wonder why on earth the brand came up with an idea to shoot a wedding lookbook. Was it inspired by any celebrity’s spectacular celebration? Or it was just a mere desire to expand the scope of expertise? Whatever was behind the logic, I am exteremely happy that the label shared this lookbook. 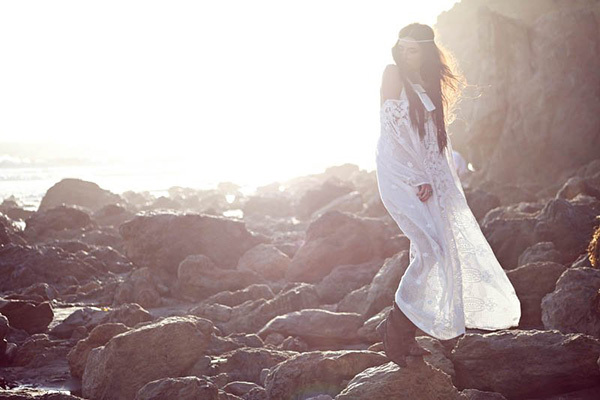 Free People tapped Kate Zubok to star inthe enchanting photoshoot. Annie Edmonds lensed the beauty, as she posed against the nature backdrops. I love the way the photos are shot – they feature a non-traditional approach as well. You will fall in love with the fascinating looks presented by the brand. There are both regular wedding gowns and shorter pieces in lace. 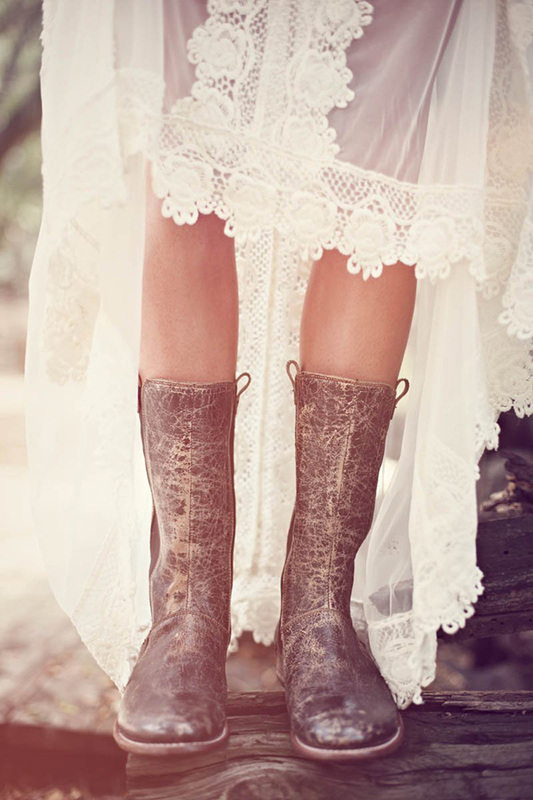 Something you have not spotted in any wedding catalogue ever is a pair of chunky booties in brown combined with a delicate cream lace gown. This would be a very interesting outfit, wouldn’t it?